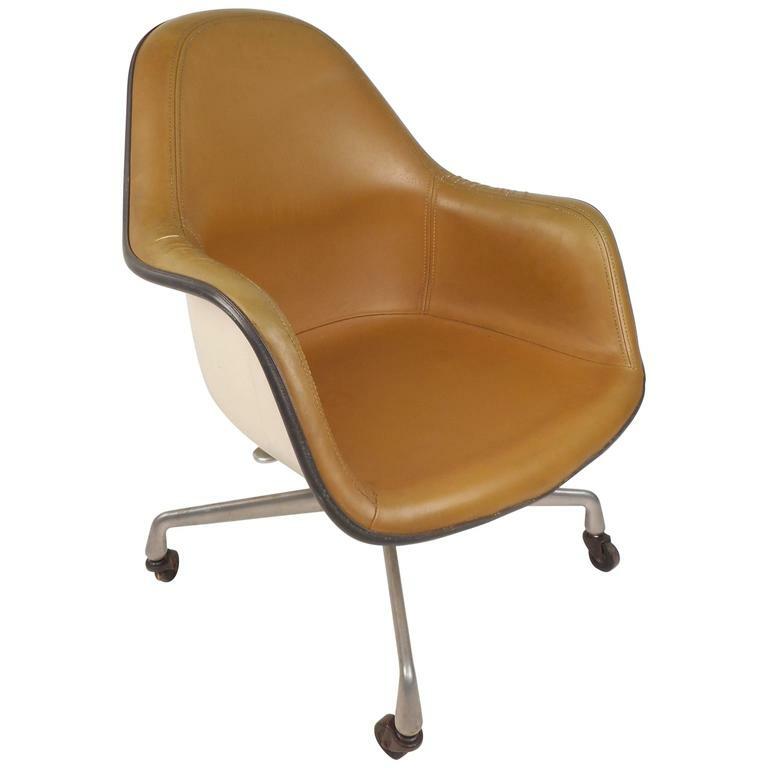 Beautiful vintage modern desk chair by Herman Miller features iconic strand fiberglass shell design with stitched vinyl upholstery. Stylish office chair has a chrome base with wheels ensuring comfort and convenience. Original stamp on bottom reads, "April 26, 1976." Wonderful Mid-Century addition to any seating arrangement. Please confirm item location (NY or NJ). age appropriate wear, cracks in vinyl on arm rests, scratches on vinyl, some oxidation on base. Molded fiberglass chair set on aluminum rolling base. Great vintage modern office design for the modern home. (Please confirm item location - NY or NJ - with dealer). Charles and Ray Eames for Herman Miller desk chair on casters. Great condition. Beautiful blue. Signed. Measure: Seat height 19 inches.